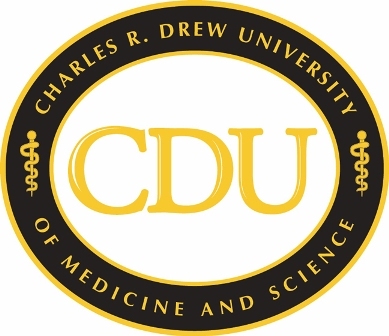 Twenty-seven Los Angeles Unified School District-West students were granted “instant” or “early” admission to Charles R. Drew University of Medicine and Science (CDU) as a result of the second partnership between CDU and the Los Angeles Unified School District (LAUSD) in the past 13 months. “Instant” admissions are given to graduating seniors, who are accepted for the Fall 2017 term at CDU, while “early” admissions are given to current juniors, who are accepted for the Fall 2018 term. The agreement, which will enable qualified students from LAUSD-West to pursue careers in medicine and science at the South Los Angeles University, was announced at a signing ceremony at CDU on May 30, 2017, and is similar to the arrangement offered to LAUSD-South students in April 2016. CDU has also signed “instant” or “early” admission memorandums of understanding with Compton Unified School District, Verbum Dei High School and West Los Angeles College, and expects to sign additional agreements with Los Angeles County schools, school districts and community colleges in the coming year. For more information, visit http://www.cdrewu.edu/, and follow CDU on Facebook, Twitter (@cdrewu), and Instagram (@charlesrdrewu).